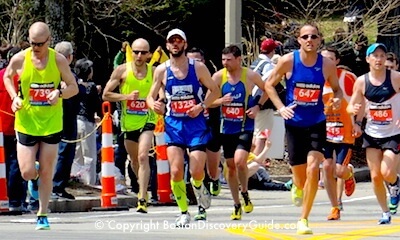 Two bombs exploded at the finish line of the 117th Boston Marathon on April 15, 2013, leaving three people dead and 264 injured. 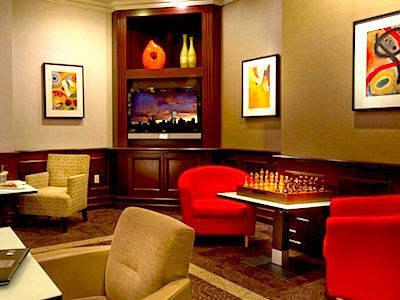 Those responsible later killed a fourth person and injured even more. 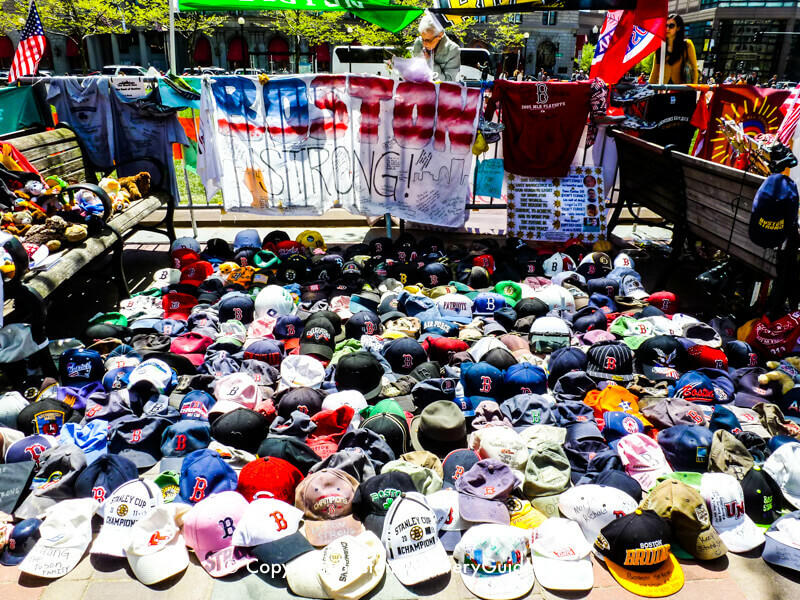 In the midst of chaos and grief, people came together to create memorials to commemorate the victims, the first responders, police and other security forces, and Boston itself. 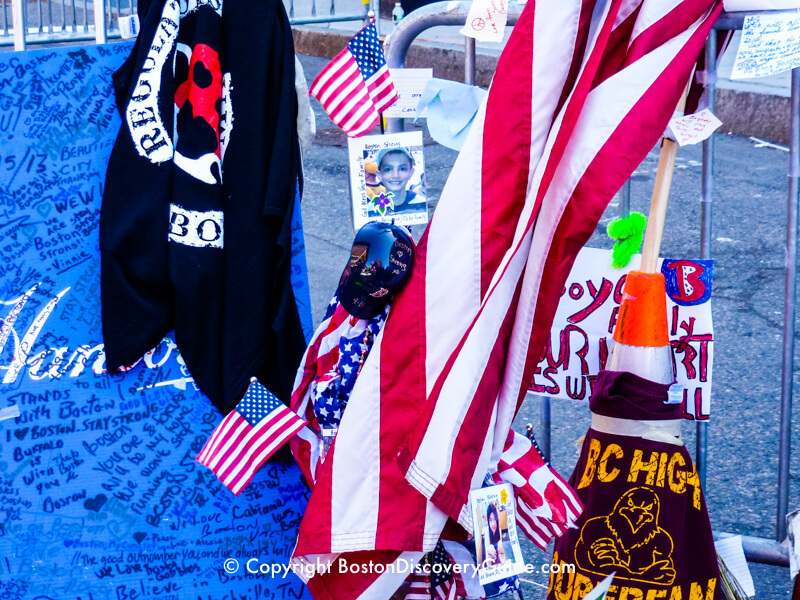 These streets memorial expressed love and caring. They became far more powerful than the bombs. Yes, the bombs shocked and stunned and horrified and angered us. But we weren't terrorized. 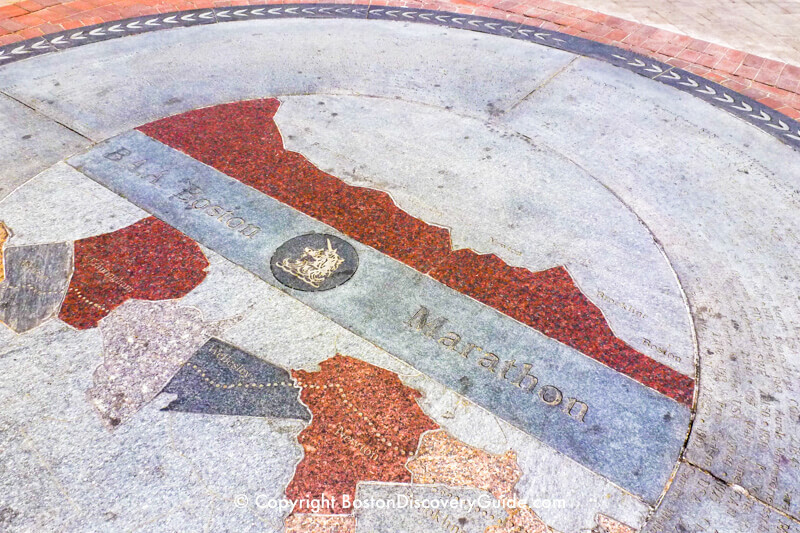 The Marathon will continue on Patriots Day every year, and we'll all be there. 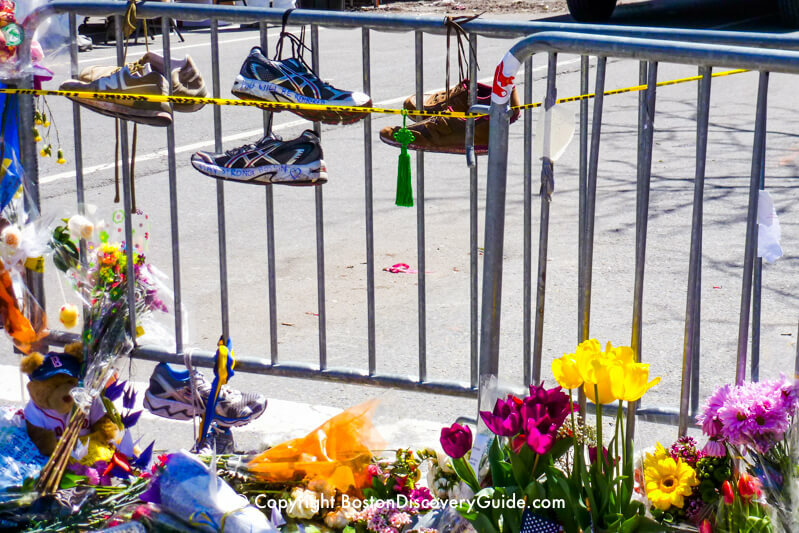 The street memorials shown in these photos grew larger every day as locals and visitors brought flowers, messages, running shoes, stuffed animals, balloons, and other personal objects and icons. 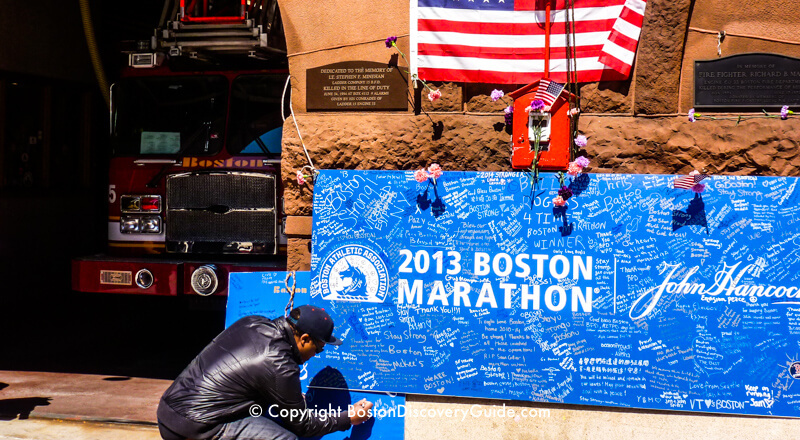 However, these memorials to the Marathon tragedy were ephemeral. They existed only in this moment of time. 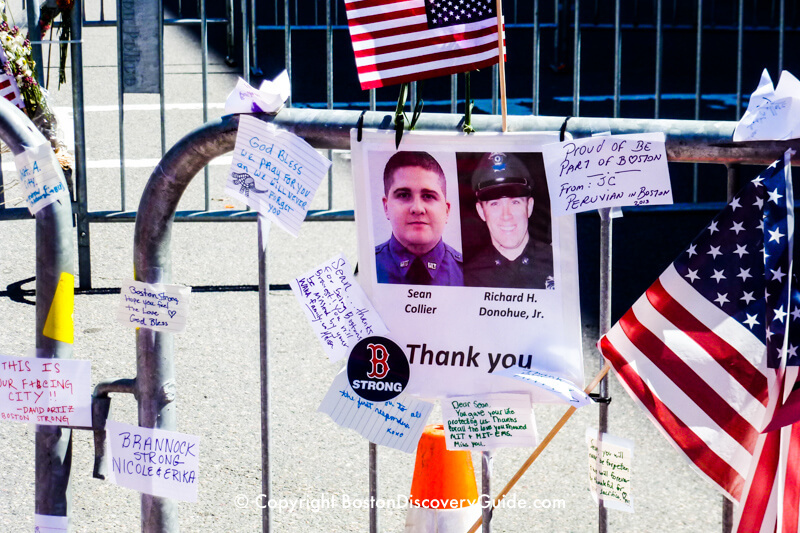 These memorials lined the barricades along Boylston Street where Boston police, the FBI, and other experts continue to collect evidence from the horrific explosions. After what seemed like "forever," the barricades were finally removed. 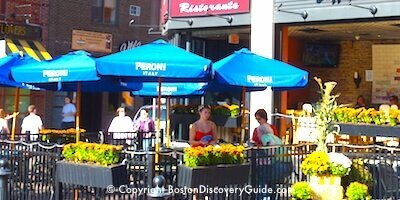 Boston’s April sun was already wilting the flowers. 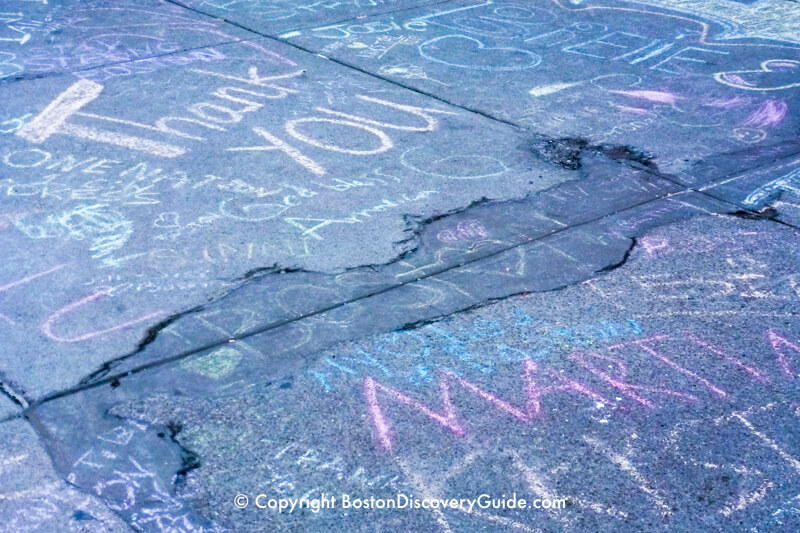 Rain inevitably washed away the messages inscribed with chalk on sidewalks and walls. 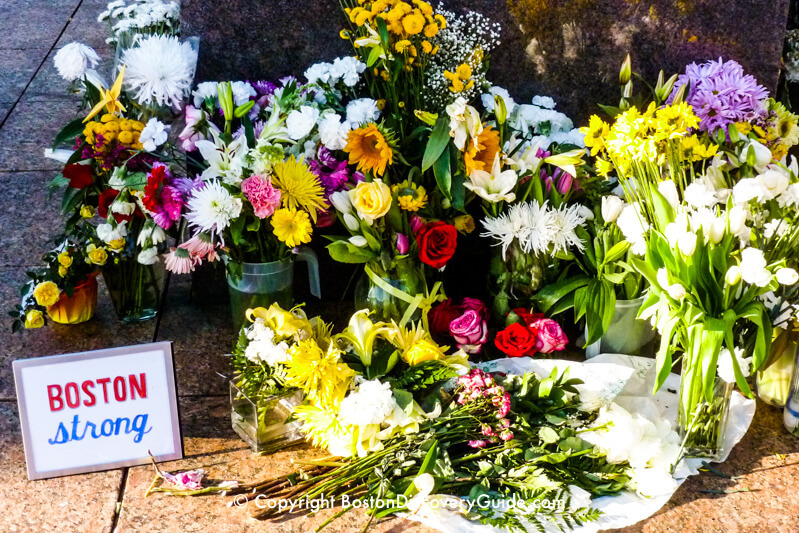 But the Memorials, transplanted to a corner of Copley Square, continued to live and grow. 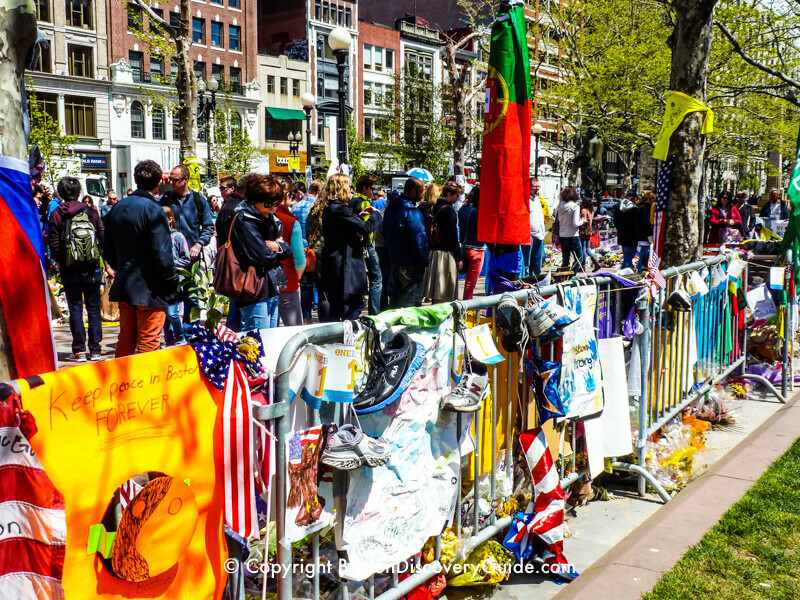 Crowds at the Copley Square site continued to grow too, as the Memorials became a major attraction for Boston residents as well as for visitors from all over the world. 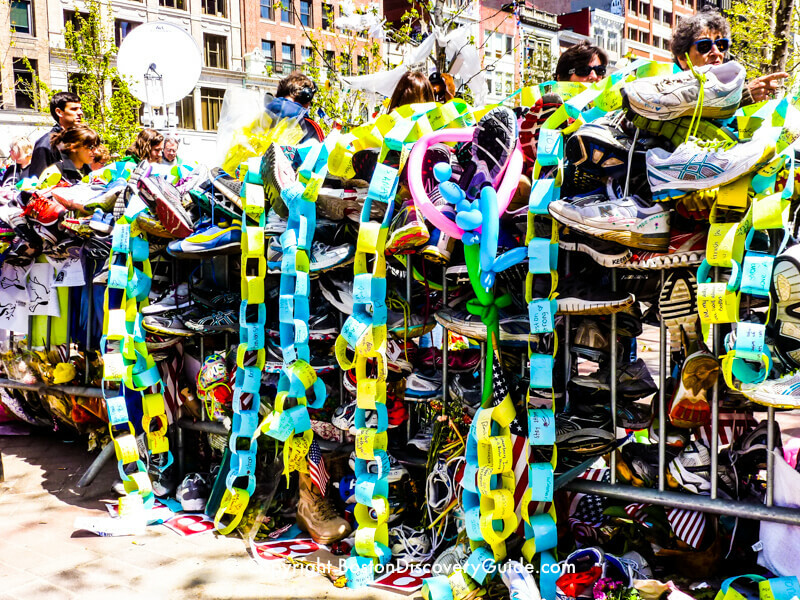 Barricades could no longer been seen under the masses of shoes, garlands, balloons, and signs tied to them. Visitors continued bringing baseball caps, posters, drawings, flowers, photos, candles, and just about everything else imaginable. 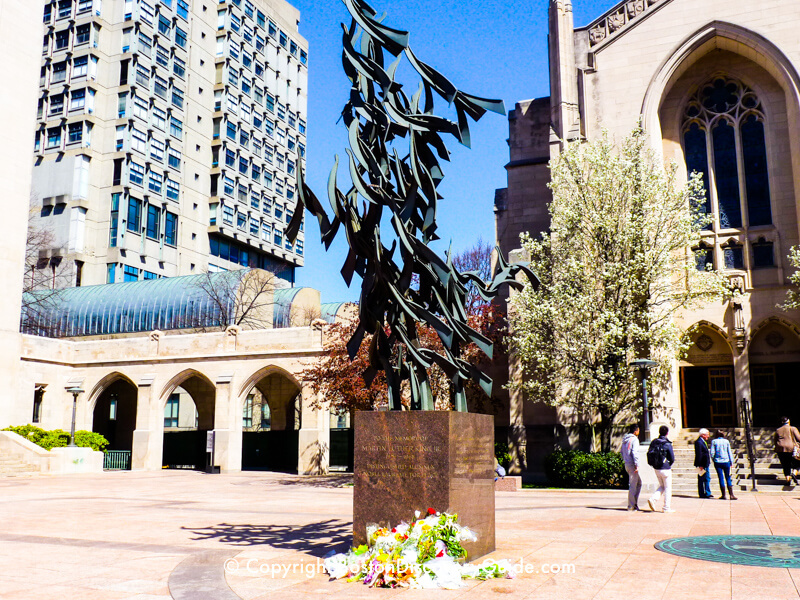 Finally, not long after dawn on June 25, ten weeks and one day after the Marathon, the temporary Memorial was dismantled by about a dozen city officials, volunteers, and archival specialists, who carefully gathered up items for preservation and storage. Weather forecasts for torrential downpours later in the day provided the impetus, but the time had also come to move forward. 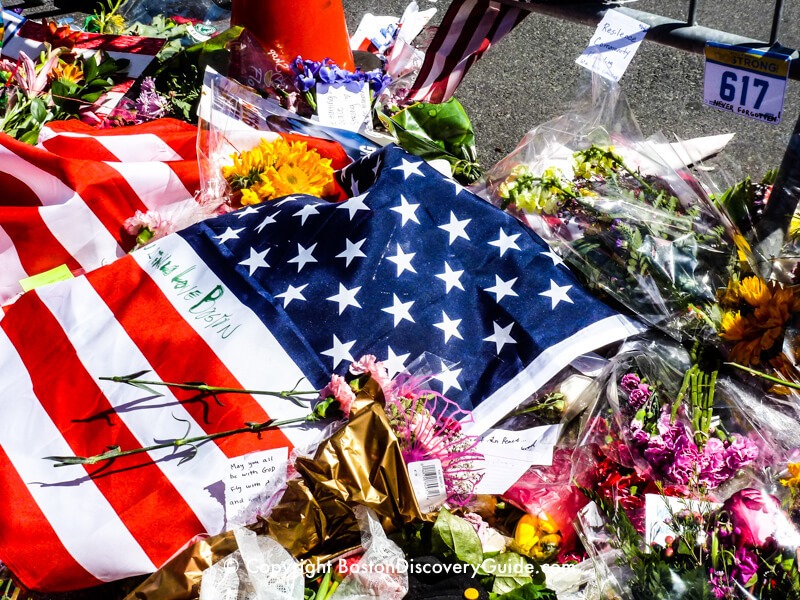 Memorial items are now stored in City Archives and at an additional storage facility in Northborough, MA. The objects fill 286 boxes. 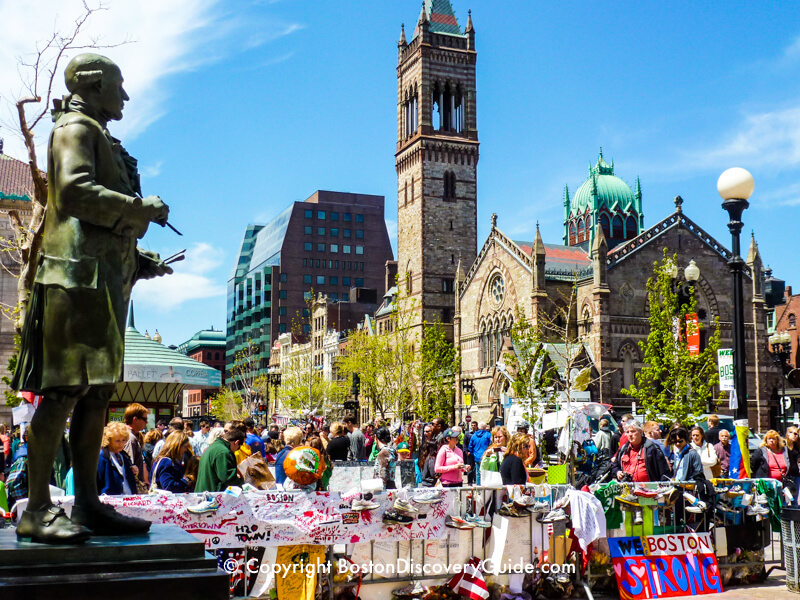 Someday a more permanent memorial will likely join all the other Boston monuments that remind us of our city's role in revolutions and wars, achievements and tragedies, heroism and triumph. From the Boston Massacre site celebrating the first five casualties in the fight for American liberty to the Garden of Remembrance dedicated to all the Massachusetts citizens murdered when the two flights from Boston were crashed into the Twin Towers on 9/11, Boston is a city filled with memorials. 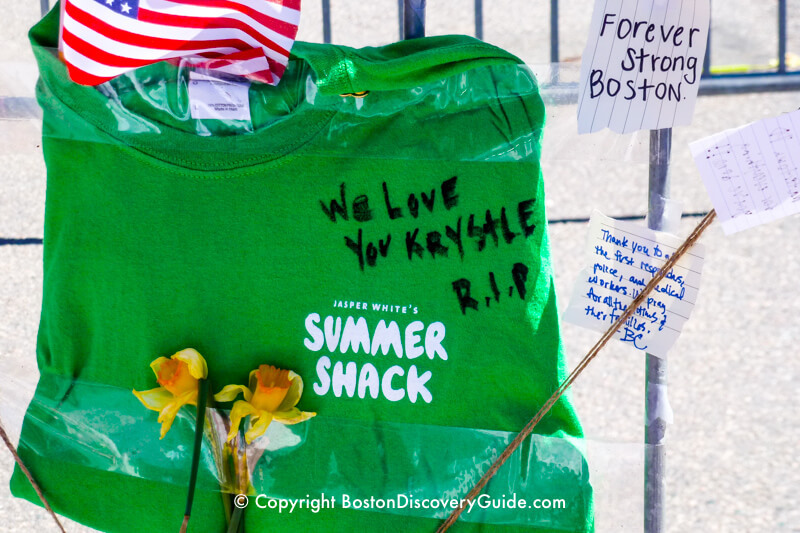 Will an inscribed piece of stone permanently memorializing the Boston Marathon bombing capture the raw emotions poured into these temporary shrines? 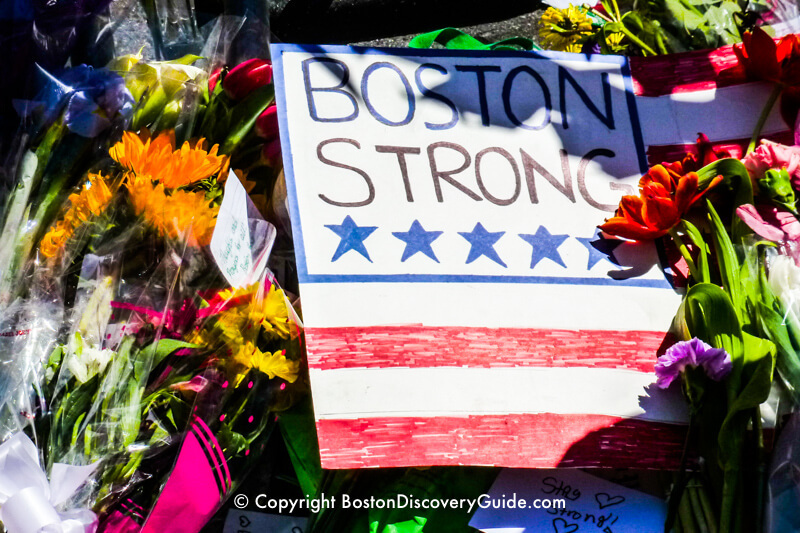 So that’s the purpose of the photos on this page - to remember the outpouring of emotions from the most horrific, most surreal week in Boston’s history. 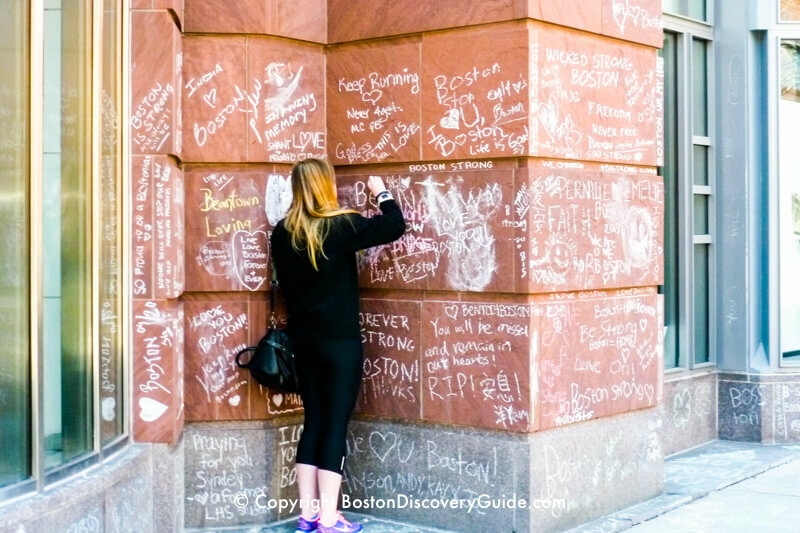 To remind us of the love and support that flowed into our city from around the world. 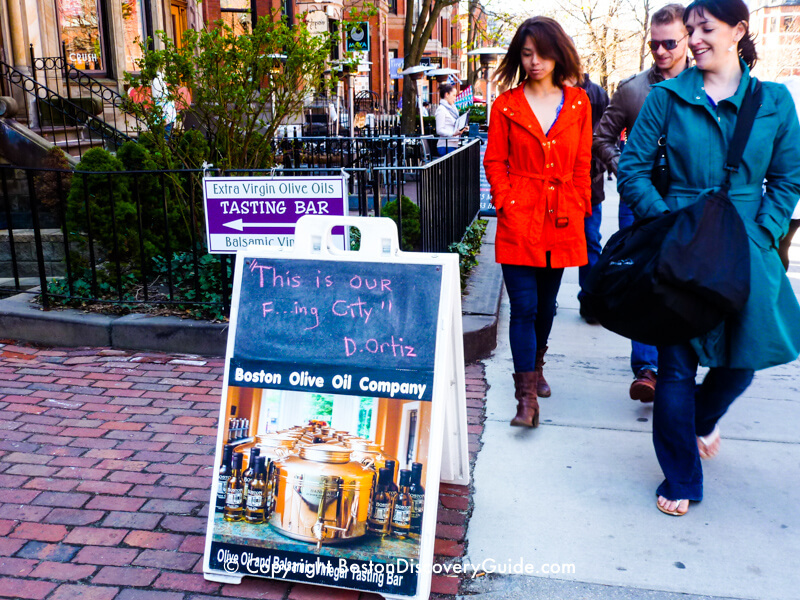 What’s do these street memorials tell us? 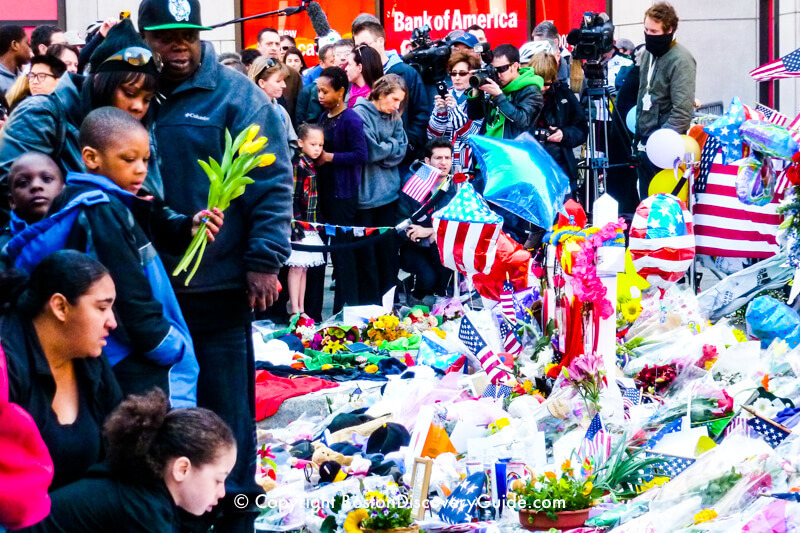 They're about the caring and strength of everyone who helped those who were injured. They remember those who are no longer with us. 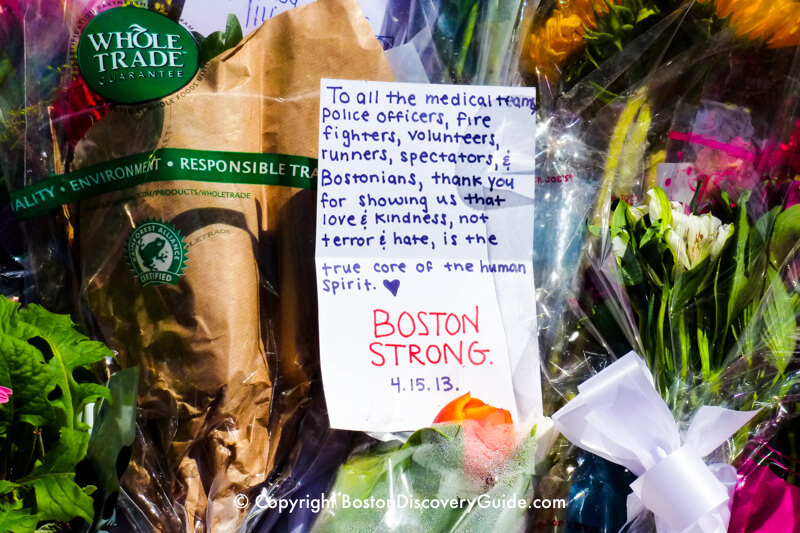 They thank the first responders, who rushed to the injured with tourniquets to staunch the blood. They thank the doctors and medical staffs who made sure that everyone who reached the hospitals alive survived. 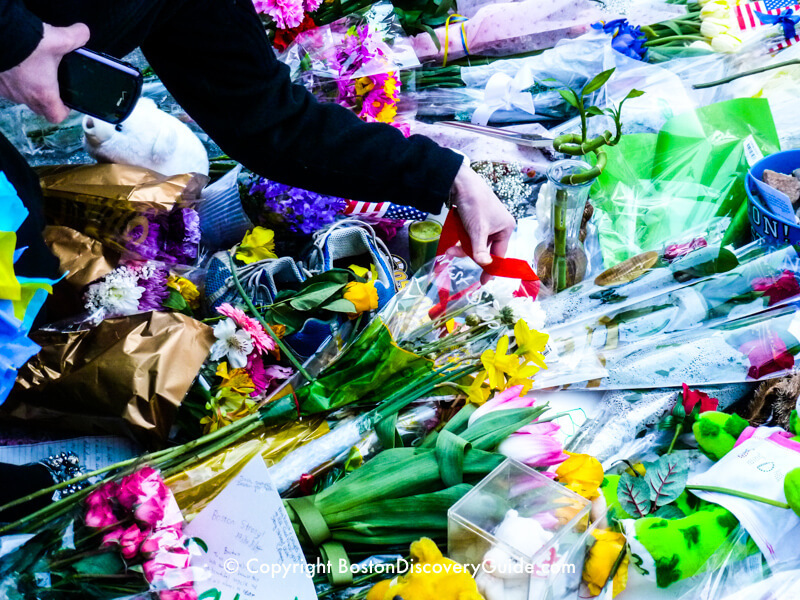 They thank those who risked their lives to keep our city safe, who fed and sheltered visitors who couldn’t return to their hotels, who reached out from all over the world to those of us who live here to make sure we’re all right. 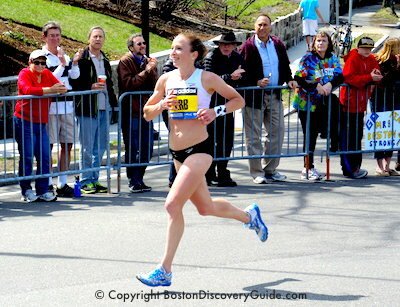 And they remind us why we'll celebrate the Marathon again next year. “This jersey that we wear today, it doesn’t say Red Sox. 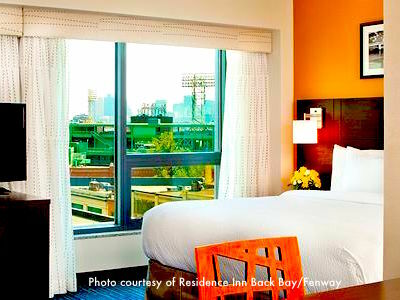 It says Boston,” David Ortiz told the crowd at Fenway park in a ceremony the day after the second Marathon bomber suspect was captured. In his passionate address, Ortiz thanked the police and the first responders for all their efforts. 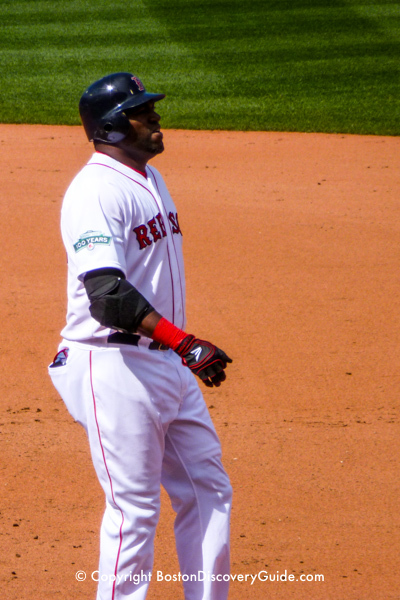 “I’m from the Dominican Republic and the one thing that I always say is me and my family are blessed by being in this country,’’ Ortiz said. 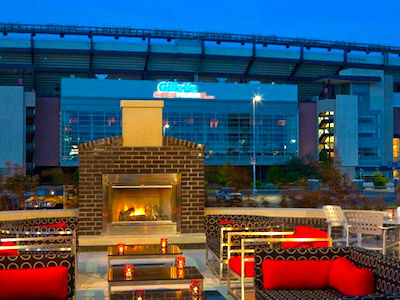 Where are the most convenient hotels near Gillette Stadium?